Thomas Hearing is a NERC-funded PhD research student. Jan Zalasiewicz and Mark Williams do not work for, consult, own shares in or receive funding from any company or organization that would benefit from this article, and have disclosed no relevant affiliations beyond their academic appointment. Even if carbon emissions are reduced to hold temperature rises at the 2°C guardrail of the Paris Agreement, changes already afoot in the environment such as melting permafrost and forest die-back could accelerate warming well into the future, potentially pushing our planet into what is being called a “Hothouse Earth” state. The risk of a hothouse was raised by a recent study, though the authors stressed that it is not inevitable. But what is a Hothouse Earth state, and how will it feel for humans and the rest of nature? The Earth has been in hothouse (often called “greenhouse”) states before, and there is not one kind of Hothouse Earth, but several. A little like Dante’s circles of Hell, they progress into ever-deeper states of heat and changes to the planet’s biosphere and climate. The end result is undoubtedly hellish, and even the early stages would be, for humans at least, decidedly uncomfortable. The first state last occurred 125,000 years ago, during the previous interglacial phase of the Ice Ages. Atmospheric carbon dioxide levels were like those of pre-industrial times, at about 280 parts per million (ppm), and global temperatures were generally similar to today. Early humans were present, but in small numbers with only local impact on Earth’s ecology. We might regard it as an Eden of pristine landscapes and ecosystems. During this interglacial phase, sea levels rose to some six metres above today’s as part of the Greenland and West Antarctic ice sheets melted, perhaps as changing ocean currents carried extra heat to the ice. It’s a reminder of how easily sea level can change. Then, animal (including human) and plant communities simply adapted by migrating with the shoreline. Modern civilisation, with its sprawling coastal megacities, would not adapt so easily. We are already set for the next stage. By burning fossil fuels we have launched atmospheric carbon dioxide levels beyond 400ppm – that’s an extra trillion tons of carbon dioxide in the air. With this thicker thermal blanket, the Earth is absorbing more heat, with most of it going into the oceans. We are already noticing the effects, with extreme weather events rising and ecosystems such as coral reefs already suffering drastic change. The last time the Earth saw these kinds of carbon dioxide levels was 3m years ago, well before Homo sapiens appeared, in what is called the “Mid Piacenzian Warm Period” of the Pliocene Epoch. This was warm – but not yet truly hot. The Earth still had a lot of polar ice, especially over Antarctica, but ice on Greenland and West Antarctica was much less extensive, and sea levels were some ten metres or more higher. Global mean temperature was perhaps a couple of degrees warmer than at present, with more warming around the poles than at the equator. If carbon dioxide levels now hold steady, this is the kind of Earth we could be heading towards. This period in Earth’s history was also Eden-like, with a diversity of life on land and at sea – but getting to that state may be traumatic for crowded humanity as the sea level keeps rising. A true Hothouse Earth emerged when carbon dioxide levels reached something like 800ppm – about double those of today. This was the world of the dinosaurs, 100m years ago. There was little or no ice on Earth and the polar regions had forests and dinosaurs which were adapted to living half the year in darkness. The biosphere thrived, though equatorial regions tested the thermal limits of life. Much of the low-lying land had been claimed by the sea, which was now a worldwide warm bath in which animals steered a course to avoid the large, oxygen-depleted regions, a result of the sluggish ocean currents typical of an ice-free world. Even this type of Earth is not so unpleasant, though – once you’re there. But it’s the transition that’s tricky. Some combination of unrestrained carbon emissions and the natural feedbacks of greenhouse gas released from melting permafrost and forest die-back might set us on such a trajectory in little more than a century. Humanity, in such a world, might crowd on to the remaining land and mourn its drowned cities. Hothouse Earths can also get hotter during “hyperthermal” events, typically triggered by sudden, massive carbon dioxide releases from extraordinary volcanic outbursts. The larger of these coincided with the times of the great dyings – mass extinction events like those at the end of the Permian Period 251m years ago, in which most life perished through extreme heat, suffocation or starvation. This is where true hell on Earth appears. The ultimate Hothouse Earth has, thankfully, not yet been reached. If it had, we would not be here to discuss it. 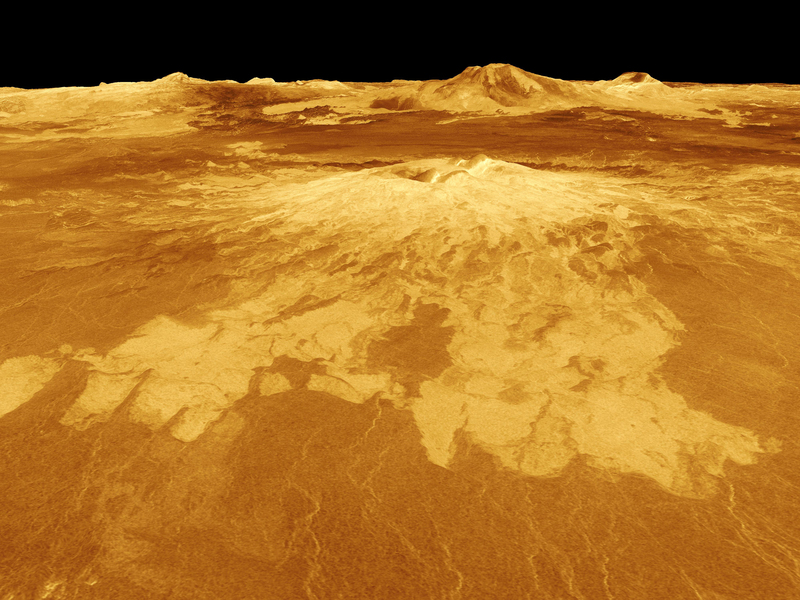 It is a runaway greenhouse world like that of our sister planet Venus – heated to the point where the oceans are boiled away, with water vapour streaming through a punctured stratosphere, leaving a furnace-like surface devoid of life. It seems that even burning all of our hydrocarbon fuels will not yet invite such a state, which is some comfort. However, this is surely the eventual state that the Earth will reach in about one billion years, as the sun heats up. Fortunately, this is not our immediate problem. Hothouse Earth is a journey with many stops and even the next few steps would be a bumpy ride for human civilisation. It’s the speed of the change that’s crucial. In a transition stretched out over millennia, humans could probably adapt to even a dinosaur-style hothouse. But if it’s going to come in centuries, or even in a human lifetime, there’ll be trouble ahead.